Not exactly sure when these officially launched but, they were in the NEW section at Walgreen’s...Yay! I’ve seen various brands come out with these nail decals, stickers, fashion prints whatever you may call them. Maybelline caught my eye with the Color Show Mirror Effect Fashion Prints Nail Stickers… That was a mouth full wasn’t it. Maybelline claims; up to 10 day wear with zero dry time. Price- Walgreen’s in my area I paid $7.49 ( different locations/stores will have various prices). Application- There are 3 easy steps to follow on the back of the packaging, well…I thought it was going to be easy. Step 1:Find the sticker size that fits your nail. 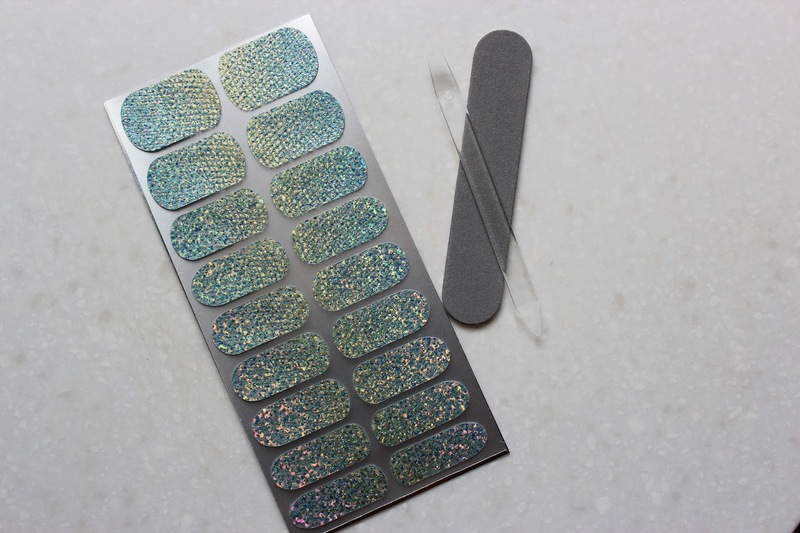 Step 2: Lay the sticker at the cuticle and use the cuticle stick to help push the sticker flat onto the nail. Step 3: Fold the left over sticker at the top and file it off. I found is difficult to get the sticker to lay flat on all sides of my nail. Maybelline also gives you 18 stickers for backup mistakes or different size choices for each finger. Even with extra stickers choices I still didn’t have the right sizes for all my nails. Overall- I thought the fashion print design was eye catching and really trendy for summer. My application wasn’t perfect, which turned me off. I hope you try them for yourself. Leave your experience and comments below…I would love to hear them!